Students have been condemned for branding people from Cornwall as "inbreds" on a website. The message was posted after an annual hockey match between the London and Camborne schools of mines. Imperial College in London apologised and the message has been taken down from the students' union website. The message was discovered when a Cornish councillor put the words "Cornish" and "inbred" into an internet search engine. 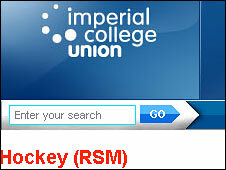 The website posting read: "The Royal School of Mines Hockey Club follows in a long line of RSM sporting prowess but most of all its about fun, drinking and beating the pulp out of little Cornish inbreds who like to call themselves miners." Stephen Brown, president of the student union at Imperial College, said remarks followed a hockey match called The Bottle Cup, which the schools of mines had played for 106 years. He said: "There is a very fine line between good-natured banter and being offensive and this crossed that line and we removed the offensive material. "It was a result of an old rivalry between the two mining schools." Councillor Graham Hicks of Kerrier District Council, said: "I had heard the words 'Cornish' and 'inbred' together in pubs and decided to Google them. "I was horrified at what came up. "It is not harmless banter, being called an inbred is highly offensive." He said he would continue to monitor websites that used the phrase. He said: "I don't believe in political correctness, but this has gone too far." David Lafferty, president of Camborne School of Mines said: "It's just banter, it's the same year in, year out. "It rolls off your back. I'm not an inbred and the Cornish are not inbreds."